This morning Acer Malaysia organizing a Acer product update seminar at the Rizqun Hotel. 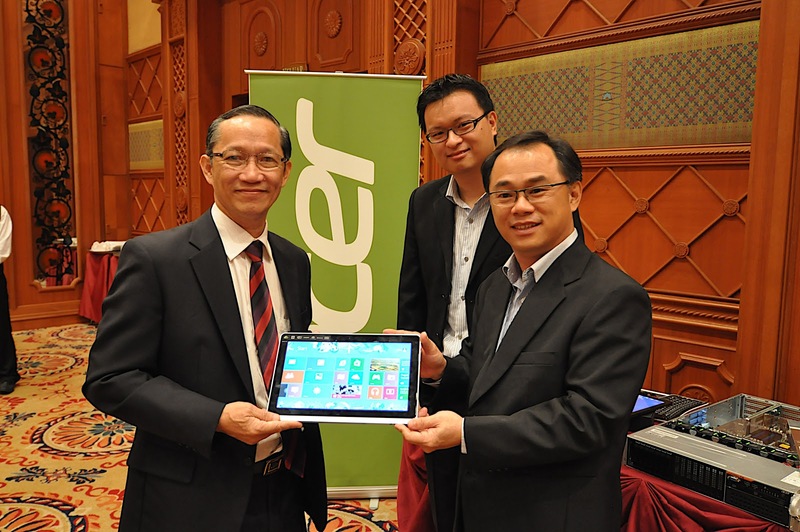 Acer Commercial Veriton Desktop & TravelMate Notebook Ready to Enter Brunei Market With Reliability & Productivity. Designed to meet the needs of Government, Enterprise and SMB for performance, efficiency and reliability. The range of Acer Veriton Desktop & TravelMate Notebooks comes in various practical design to meet every commercial user’s expectation. The Acer Veriton Desktops are available in five practical dimensions ranging from an ultra-small 3 litre form factor to a full size 30 litre micro-tower as well as the all-in-one design. Veriton designed to be green with Energy Star 5.0 and 80Plus certification. GS & CE certification ensures quality. Solid capacitor adoption further extends the lifespan of the Veriton Desktop. Acer TravelMate Notebooks come mainly in 11.6” & 14” sizes starting from only 1.38 kg. Most importantly, TravelMate Notebooks are toughened with robust design, e.g. 25,000 hinge test cycle, electric shock test, spill test, dust ejection fan design, power on drop test, etc. to ensure it out performs user expectations & environment challenges. Acer Veriton and TravelMate are made more user friendly and reliable with the Acer Office Manager as a manageability solution which allows users to centrally deploy security policies, monitor IT assets, and schedule maintenance tasks in one simple manageability package for the entire office. The Acer ProShield Manager suite of essential security and manageability tools secures the Acer Veriton and TravelMate from unwanted access from BIOS level all the way up to application level, keeping critical files safe by encrypting and storing them in a Trust Platform Module (TPM) protected Personal Secure Drive (PSD). Users can also permanently remove unwanted files or folder, beyond recovery (US Department of Defense (DoD) 5220.22-M standard).